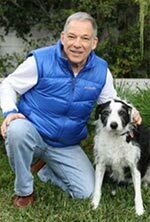 The owner of two adults pit bulls will likely face criminal charges in California as a result of her her dogs brutally attacking an elderly man and his Jack Russell Terrier on Catalina Island, California on April 21, 2017. Catalina Island is located about 10 miles off the Southern California coastline. Residents live full time on Catalina Island but it is also a popular destination for tourists. The vicious attack, captured on video, shows how dangerous some pit bulls can become, especially when together and not properly controlled by their owner. Circumstances surrounding the incident are not completely known but it was reported that both pit bulls were off leash. The Jack Russell was on leash. The owner of the pit bulls reportedly lived with her dogs on a houseboat. The owner of the Jack Russell was airlifted to a local hospital in Southern California with serious dog bite wounds to his arms and hands. His Jack russell was treated for deep lacerations on the chest at a veterinary hospital. (c) The dogs started attacking each other. Redirected aggression like this occasionally happens when a highly aroused, aggressive dog that is thwarted or prevented from reaching its target. And if a human is in proximity the dog may “redirect” its aggression to that person. Given the vicious and persistent nature of the attack, it is likely that the owner of the pit bulls had full knowledge of the danger these dogs presented to public safety. Proof of such knowledge, or the foreseeability by the owner that an incident like this could happen, is protectionthe legal criteria needed to make a dog owner financially responsible for damages inflicted to the victim of a dog attack. 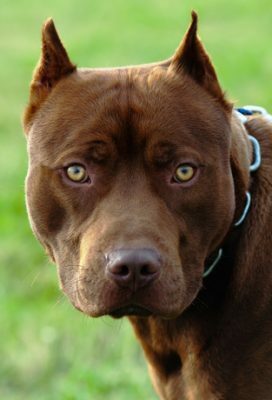 However in the instance under review, the owner of the pit bulls is likely judgment proof. Hence, financial recovery from her for the victim may be difficult. Nonetheless, the owner of the pit bulls could be held criminally criminally liable the actions of her dogs. Based on the facts reported in the news media, it appears that she should have never taken these dogs in public without being leashed or muzzled. It appears that she acted in an irresponsible manner knowing that she might not be able to control her dogs in circumstances that were present at the time of the incident. In short, from an animal behavior perspective it could plausibly be argued the incident should have been foreseeable to her. According to the law in California, under California Penal Code Section 399, the owner of the pit bulls may be prosecuted for felony or misdemeanor criminal neglect. In California, a dog owner convicted under this code faces between one and three years in prison. The prosecution must prove that (a) the owner intentionally allow the animal to run free due to the failure of using ordinary care that the failure to use ordinary care, and (b) the owner’s failure to use ordinary care resulted in a person being seriously injured by the dog. Elsewhere on this website I have noted examples of criminal prosecution in fatal dog attacks.